As one of the most desirable companies to work for in the Silicon Valley, Google is as renowned for its employee experience as it is for its impressive suite of product. So, it should come as no surprise that they also have an excellent onboarding program for new Googlers or “Nooglers,” as they are affectionately called. While Noogler isn’t an official status, it’s understood throughout the Google organization that new hires need specialized support to succeed in their careers. Google created an onboarding program that emphasizes skill building, relationship building, expert guidance, educational activities, and hands-on experience to encourage long-term performance, retention, and employee satisfaction. If you’re one of the lucky few with a Google career on your horizon, here are some valuable insights into what you can expect as a newbie Googler. Read on to learn how to start on the right foot, how to acclimate, and how to make the most out of your Google experience. Google wants to ensure that their employees are not distracted by stress or logistical minutiae as they begin their new job. They have an expert relocation team ready to help you with anything that may come up. Need to break your lease? They’ll likely pay your last month of rent for you. If you have furniture to transport, they’ll send a crew of movers who will help you pack and unpack. Your flight to your new office will probably be paid as will the relocation of your vehicle. If you plan on driving, your hotels and meals along the way will also be covered. Once you arrive, Google will provide you temporary housing (that is probably nicer than your current place) while you look for a permanent apartment or home. If you are lucky, you’ll have all of this sorted before your Google orientation, because you’ll want to focus your time and energy on learning as much as you can about your new workplace. The orientation process at Google is always evolving, so it’s hard to say exactly what your experience will look like as it will depend on several factors including your location and department. At this point, it appears that all new Google employees go through a similar broad-based orientation with the typical disclosure items like setting up your email address, going over stock options, office protocols, getting your Google-branded swag, meeting your work team, etc. Expect to spend your first day or two just filling out forms and listening to people talk. The first couple of weeks on the job will be intense, depending on your function and team, so try not to be alarmed if there’s a lot of information being thrown at you during training. Learning opportunities are abundant so be sure to take advantage of the many helpful materials you will be provided. These include self-study code labs, workshops, and reimbursement if you pursue outside skills training. According to one Xoogler (ex-Googler), the onboarding process is designed to foster long-term connections between employees. This is because many jobs at Google, such as programming and engineering, may be somewhat solitary in nature and they want to avoid feelings of isolation in these roles. Google’s employee onboarding isn’t just for orientation; it’s to introduce you to Google’s unique culture, which will likely be unlike any other place you’ve ever worked. Google prides itself on a culture of success and employee happiness. Google employees don’t hesitate to refer to their workplace as an “adult playground” which really couldn’t be any more accurate when you consider that they have an entire team of people whose sole job it is to maintain productivity and keep employees happy. Google’s culture is built on both qualitative and quantitative data. Their HR (or “People Operations”) team is always testing to determine what approaches work best for retaining employees and helping the organization succeed. Beyond the free gourmet cafeterias and onsite bowling alleys, Google offers so much more than just great salaries and perks, Google’s organizational ethos brings employees together and encourages strong professional and personal bonds that drive success. Google is willing to pay top dollar to the best candidates. 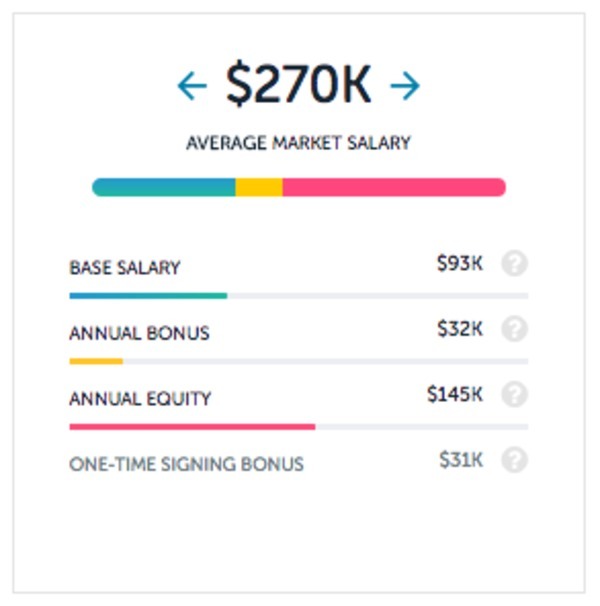 This is obvious when you consider that the average Google salary is a whopping $252K a year (plus all the sweet perks). Average Google employee salary, per Paysa data. And if that sounds like a lot to you, keep in mind that there are many jobs at Google that pay well over $300K to experienced candidates. 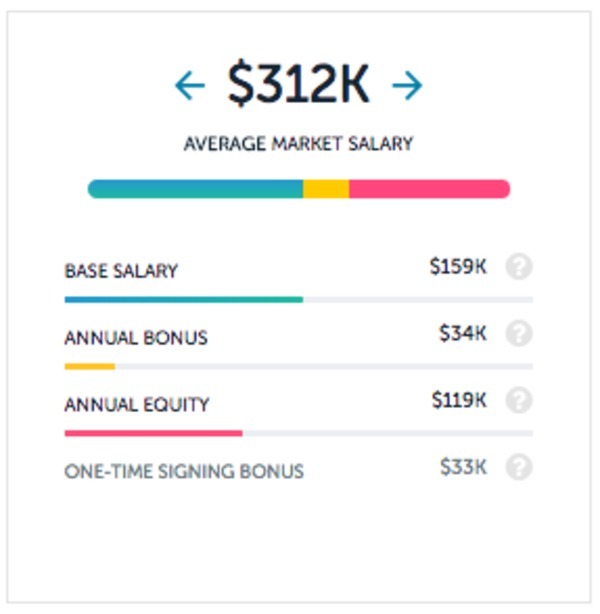 For example, a Google Senior Software Engineer can make $312K with a base salary of $159K, an annual bonus of $34K, annual equity of $119K, and a signing bonus of $33K. Average Google Senior Software Engineer, per Paysa data. Even junior Nooglers enjoy fabulous earning potential at Google. 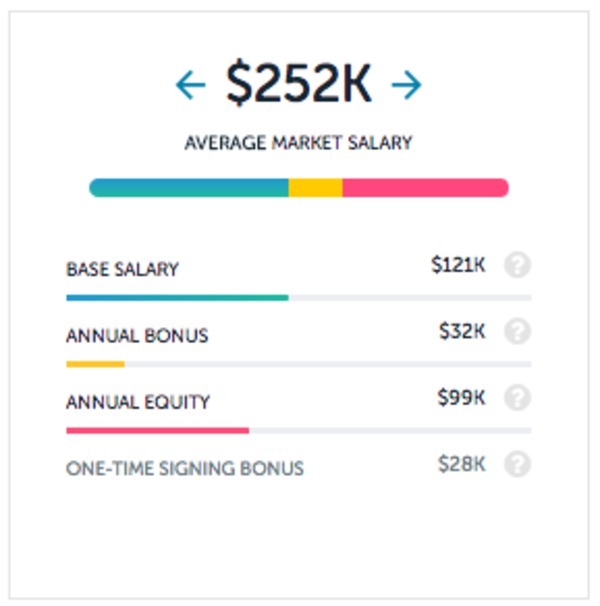 A Junior Software Engineer can earn upwards of $270K with a base salary of $93K, an annual bonus of $32K, annual equity of $145K, and a signing bonus of $31K. Average Google Junior Software Engineer, per Paysa data. Now that’s we’ve discussed onboarding, organizational culture, and compensation, let’s talk about Google’s outstanding benefits and perks. We all know that it’s the generous perks and helpful extras that make Google one of the best places to work in the world. With a diverse array of free food, massage rooms, nap pods, haircuts, on-site doctors, and other creature comforts, Google does its best to keep employees happy. Here are just a few of the perks that Nooglers can look forward to. Game rooms, volleyball pits, rockclimbing walls, etc. Remember, this list is not exhaustive. We’re sure you’ll find even more to love once you’re on the job at Google! By prepping and researching what to expect before your Google start date, you’ll already have a leg up before you’re even on the job. Nooglers can expect a dynamic and intensive onboarding process followed by an immersive, uniquely Google-esque organizational cultural experience rife with learning opportunities and strong earning potential. Google’s great perks are perhaps the best part for new hires, It’s easy to see that this tech giant is the complete package when it comes to being a dream workplace. Want to land a job at Google? Check out paysa.com to create a profile and access personalized resources to guide you on your career path. We offer job listings, salary info, negotiation tactics, and other valuable insights to help you earn what you deserve and achieve career bliss.